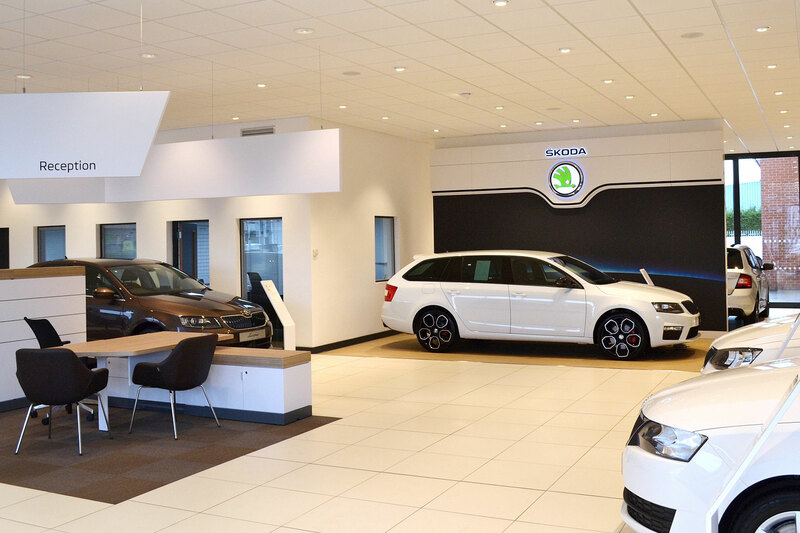 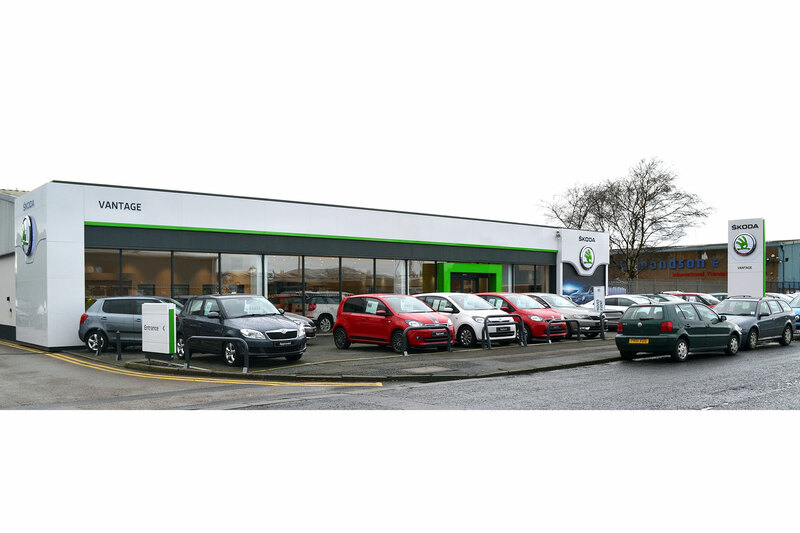 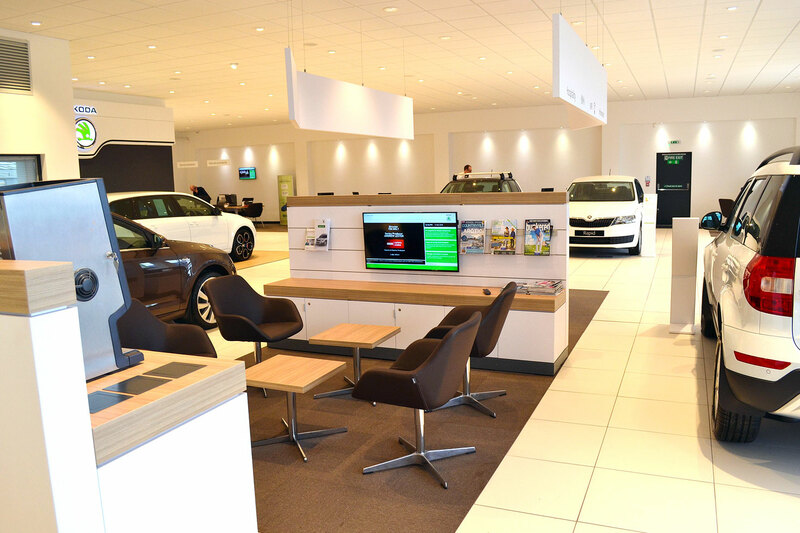 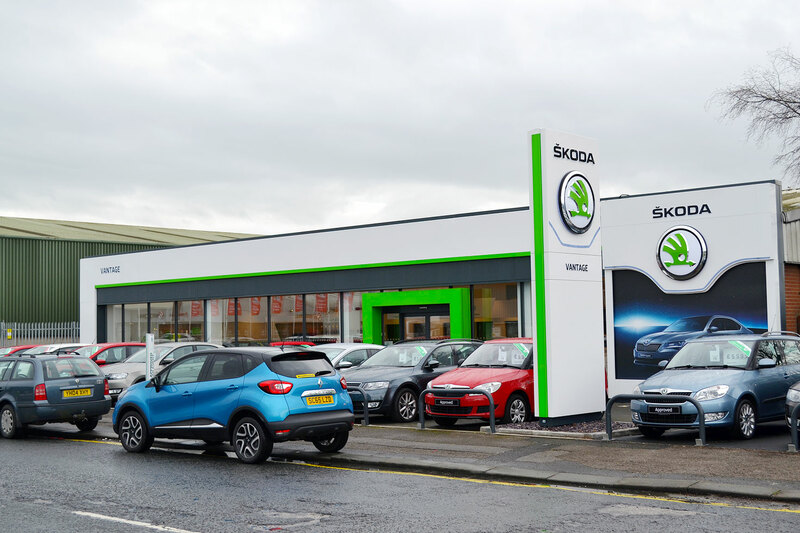 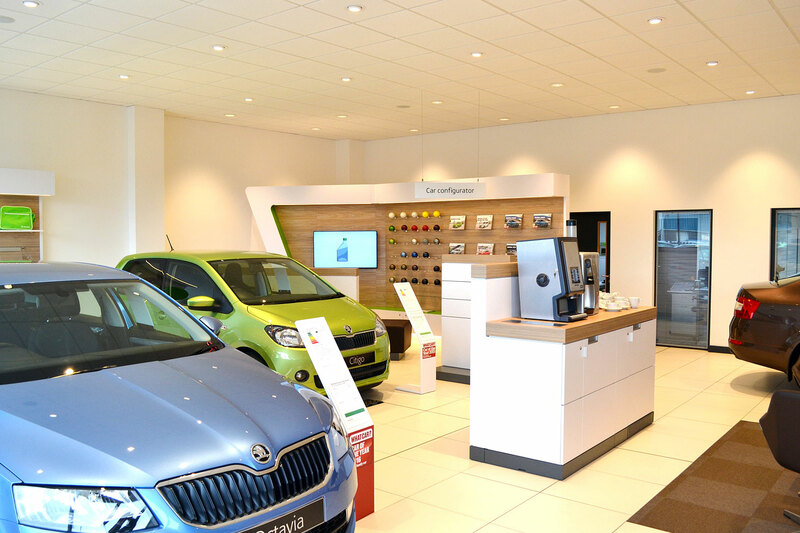 Following the UJP remodeling of the nearby Toyota and Citroën dealerships in the Lancaster territory, Vantage purchased their first Skoda Dealership in 2015 and embarked on an exciting rework of the dealership and re-branding to the updated Škoda Corporate Identity. 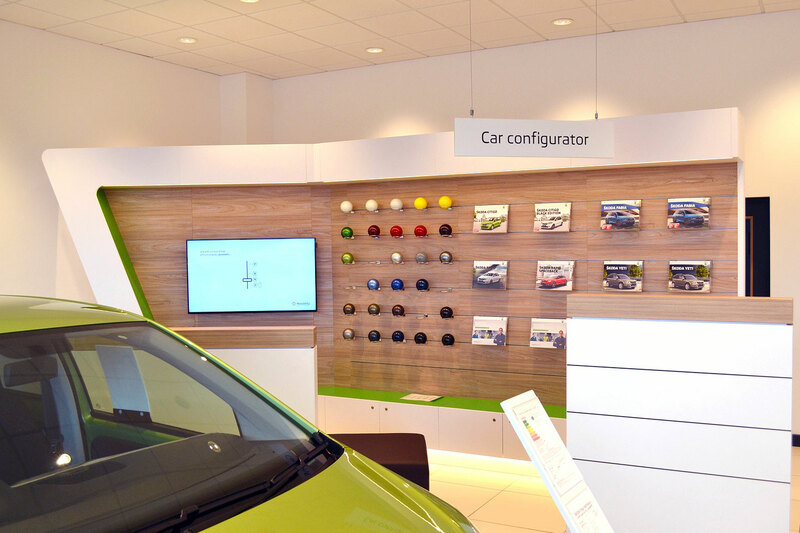 Internally the enhanced customer facilities include the car configurator, lounge and defined display zones. 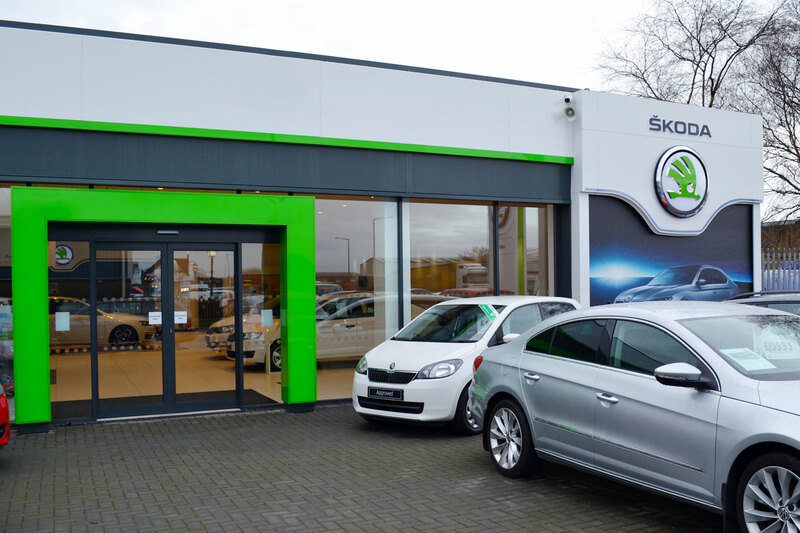 Externally the façade was transformed with the Škoda Communications Pack.